The food service industry can be a slippery one. 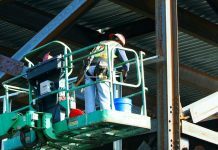 No one likes a fall at work, but thankfully there are companies dedicating plenty of research to the science behind keeping you on your feet, rather than on your rear. Even if you never liked physics in school, you can thank the designers behind these top five non-slip shoes for food service; their love of friction keeps you walking confidently on the job. 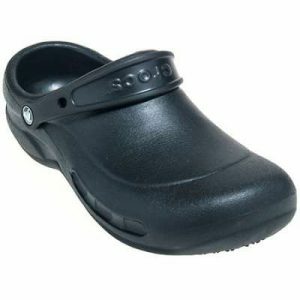 Skidbuster Shoes: Men’s S5072 Slip-On Non-Slip Shoes: These restaurant shoes are a classic. 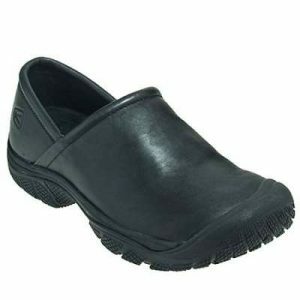 Comfortable, slip-on, reasonably priced, and a top seller. That’s saying something with so many choices out there. Skidbuster shoes are straightforward, non-slip champs. With EVA foam midsoles, you have excellent shock absorption, and with the removable insoles, you can customize the fit for your support needs with orthotic insoles. 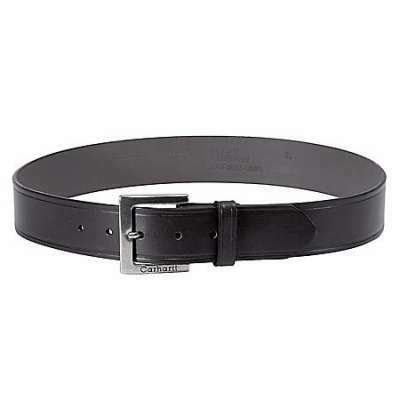 Top this off with a comfort guarantee, and you have yourself a winner. Reebok Shoes: Men’s Black RB1100 Jorie Non-Metallic Slip-Resistant Work Shoes: You can’t go wrong with a good pair of Reeboks. 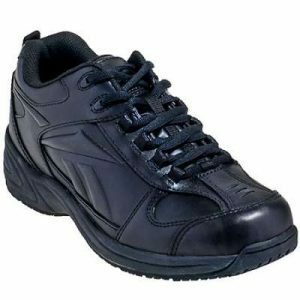 These lace-up food service shoes are slip-resistant, comfortable, and athletic. When you wear Reebok footwear, you know what kind of comfort and quality you’re getting. Slip- and oil-resistant, these flexible, lightweight restaurant shoes are perfect for servers or those who do a lot of walking on the job. 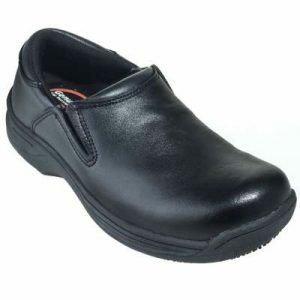 Keen Footwear: Men’s 1006983 Black PTC Slip-On II Work Shoes: A bit pricier than some of the other options (but totally worth it), these slip-on food service shoes are a top seller for a reason. Keen is a well-known brand in the footwear industry and specializes in lightweight work shoes. You may recognize the name on hiking shoes and sandals, as those are their top sellers. Keen knows a thing or two about slippery situations, so you can trust their slip-resistant design to keep you steady AND comfortable. 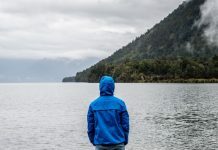 Genuine Grip Shoes: Men’s 4700 Black Water-Resistant Slip-On Shoes: Genuine Grip Shoes has one mission: create the best slip-resistant shoes on the market. When a whole company is focused on one goal, you know it’s good. The patented tread design has nothing but grip. Genuine Grip utilizes Walking on Air technology for excellent foam shock absorption to keep your feet less stressed. These water-resistant shoes have some of the lowest prices in the category, but that isn’t indicative of the quality. These lightweight shoes are comfy and ready to work. 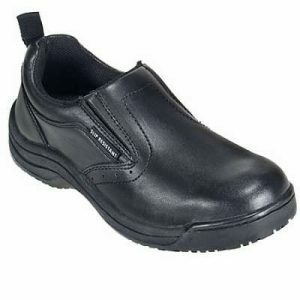 Walk and work in confidence when you choose good quality, hardworking food service shoes at WorkingPerson.com. Don’t cut corners when you’re investing in slip-resistant shoes for work. Good shoes will have an impact on your feet, ankles, knees, hips, lower back, and overall attitude! When you wear quality work footwear, there’s one thing that can be certain in your shift: no matter what happens or what kind of demands are thrown at you, your feet will feel better, and you’ll have more energy throughout your shift and afterward. Today’s the day to switch to quality work shoes.